Hungarian politicians and diplomats also use photo tricks to mislead the public. Here is how it works. A Hungarian diplomat attends a charity event where important politicians appear, sneaks next to someone prominent and pretends to be engaged in a conversation. Amb. 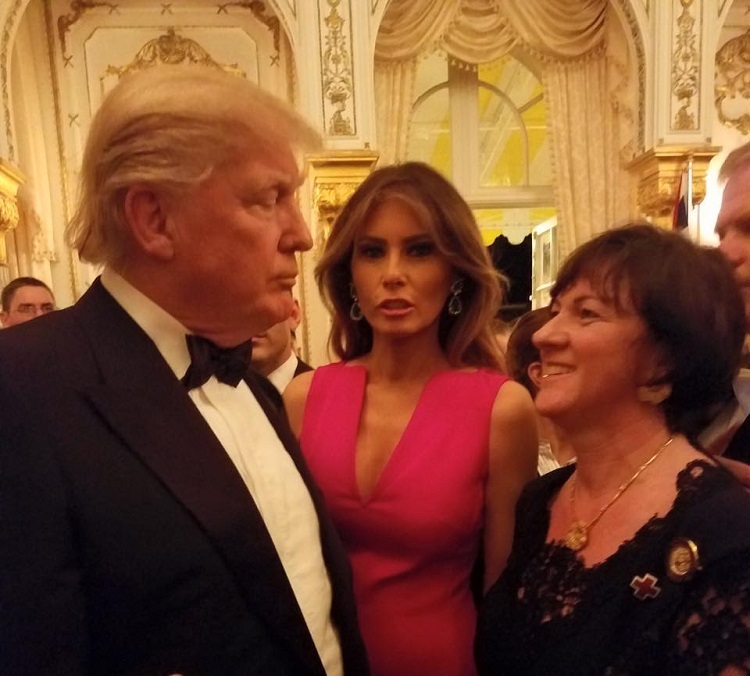 Szemerkényi snaps a valuable photo with President Trump. For the record: Szemerkényi has never been invited to the Trump White House nor had an official meeting with the President. I have the feeling that Trump may never have heard of her. The „queen” of photo manipulation is Hungary’s UN Ambassador Katalin Bogyay. The 62-year-old clever self-promoter has built a career on communication tricks. 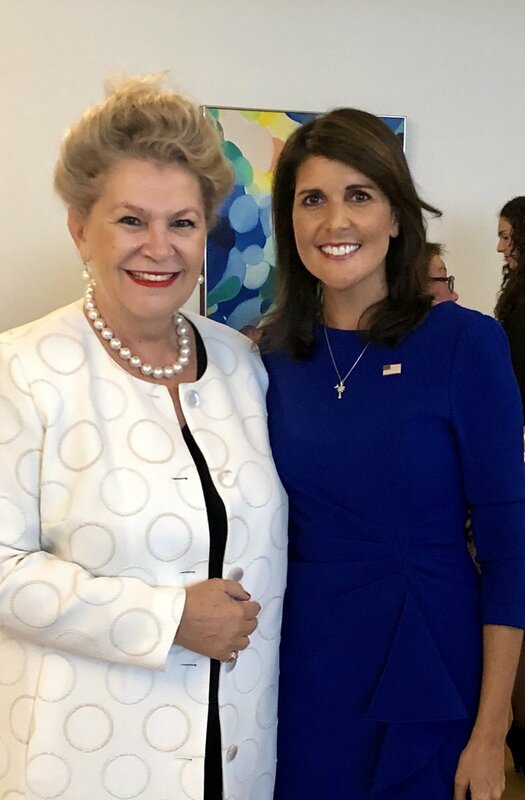 Nikki Haley and Katalin Bogyai. Katalin Bogyai and Nikki Haley. One example is her „photo series” with Nikki Haley, the recently resigned US UN Ambassador. Here are some for your review. My favorite is when she grabs Nikki’s arm with the “Go girl!” look. 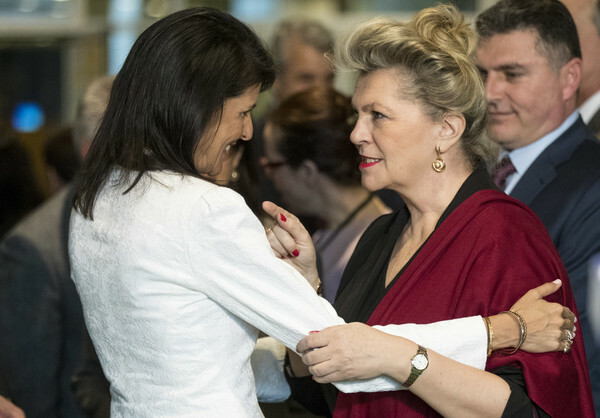 It seems that Nikki Haley does not know Bogyay; Haley never posted a photo with her. Adorn oneself with borrowed persons … but please who like to visit a street fighter? The whole Orbàn “government” has sunk to the country fair or “gypsy horse trader” levels: eg. the dumb or brazen lies described above, the rude and/or idiotic responses and statements, eg. on the Eu/Arab League resolution occasion, the unquotable miasma coming out of ZS.Bayer and co, etc. Simply because the State Department did not hear of the trip, it doesn’t mean that it won’t happen. Latest news reports on U.S. withdrawal from Syria state that the leader of U.S. forces was not consulted. The Trump Administration acts by whim and may conceal trips to hide improper dealings. Pompeo comes next Monday, I read. Wow, your intelligence is amazingly accurate again! 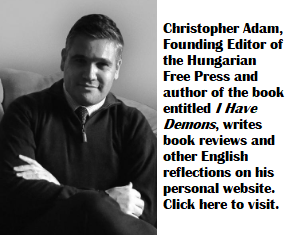 Unfortunately your hate campaign against Hungary and Orbán clouds your vision. 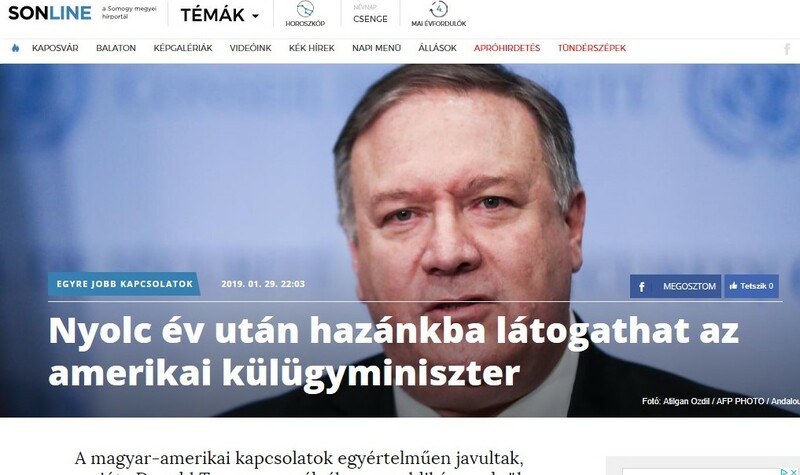 Maybe you should cancel next Monday to prevent Mike Pompeo visiting Budapest.